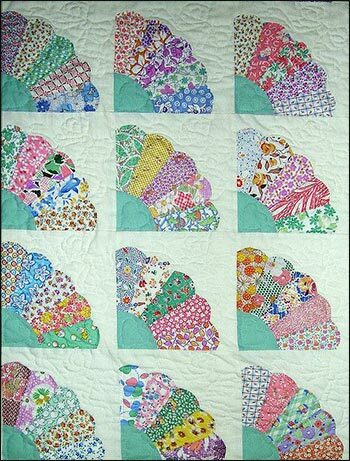 I have several hand-stitched quilts that belonged to my paternal grandmother and aunt. Stitched on one corner of each quilt is the year that it was made. They were made in the wintertime in the early to mid 1930s when outside it was freezing cold with the bitter wind howling and the snowflakes falling. Benjamin Franklin stated: “Dost thou love life? Then do not squander time, for that is the stuff life is made of.” Each tiny stitch expresses to me that even in the often dreary wintertime, my family loved life, and they did not “squander (their) time.” They spent endless hours and days making each quilt, and that brings forth precious memories to me of my grandmother and aunt’s love for their family. Time and love are not items that can be purchased on a shelf at a store or be bought on a website. Love could be spelled T . . . I . . . M . . . E, and they often work hand in hand as an opportunity to serve others, and to please God. Even the colorful hand-piecing quilts that my family lovingly made will not last for eternity. They will eventually wear out from years of use and upkeep. However, through their beautiful creative quilts their love for their family will last for many generations. Dr. Seuss stated: “How did it get so late so soon? It's night before it's afternoon. December is here before it’s June. My goodness how the time has flewn. How did it get so late so soon?” So, think about how you can love life and seek opportunities to please and serve God in a fresh and new way, so you are “filled with love for others.” It is possible that your love towards them will encourage them to also follow the example of Christ who loves all of us. That's what will last for eternity, not just for generations like my quilts! Almighty God thank You for showing us new opportunities to please and serve You in mighty ways. Amen.